[This report has been updated from an earlier version to include comment from the American College of Medical Genetics and Genomics (ACMG), and additional information by 23andMe]. The FDA has granted 23andMe the agency’s first authorization for a direct-to-consumer genetic test focused on cancer risk, allowing the company to inform customers about their risk for breast, ovarian and prostate cancers from three mutations on the BRCA1 and BRCA2 genes that are most common in people of Ashkenazi Jewish descent. The Personal Genome Service Genetic Health Risk (GHR) Report for BRCA1/BRCA2 (Selected Variants) is designed to analyze DNA collected from a self-collected saliva sample, then generate a report intended to tell women if they are at increased risk of developing breast or ovarian cancer, as well as tell men if they are at higher risk of developing breast or prostate cancer. The report also includes an education module designed to ensure customers are fully informed on what they can learn, and how to use the results. As with select other Genetic Health Risk reports produced by the company, customers must specifically choose for themselves if and when they want to receive this information, 23andMe said. The FDA cautioned, however, that a negative result does not rule out the possibility that someone taking the test carries other BRCA mutations that increase cancer risk, since the test only detects three out of more than 1,000 known BRCA mutations. The three BRCA1/BRCA2 hereditary mutations detected by the test are present in about 2% of Ashkenazi Jewish women, according to a National Cancer Institute study, but rarely occur (0% to 0.1%) in other ethnic populations, the FDA said. “This test provides information to certain individuals who may be at increased breast, ovarian or prostate cancer risk and who might not otherwise get genetic screening, and is a step forward in the availability of DTC genetic tests. But it has a lot of caveats,” Donald St. Pierre, acting director of the Office of In Vitro Diagnostics and Radiological Health in the FDA’s Center for Devices and Radiological Health, said in a statement by the agency. One caveat has been raised by The American College of Medical Genetics and Genomics (ACMG), which contends that the report will be incomplete—and will require follow-up by professionals such as Appropriate counseling can be provided by medical geneticists and genetic counselors–because the report offers a qualitative, general report of increased risk rather than a quantitative measure of that risk. The company and FDA also acknowledged that most cancers are not hereditary, that the test does not account for all genetic variants that can cause a higher risk of cancer, and that customers should continue with recommended cancer screenings. The authorization is the third de novo authorization granted by the FDA to 23andMe. The first came in February 2015, when the company was authorized to market the first direct-to-consumer genetic test for Bloom Syndrome under the de novo pathway which has since enabled the company to bring 40+ carrier status reports directly to customers. These reports convey risk for diseases that may be passed to offspring. In April 2017, 23andMe won FDA authorization to market the first direct-to-consumer genetic health risk reports. To date, the company has launched nine reports for a variety of genetic health risks. Those approvals are a far cry from the frosty reception the company won from the FDA in 2013. That year, the agency ordered 23andMe to stop selling its Saliva Collection Kit and Personal Genome Service (PGS), accusing the genetic test developer of violating the Federal Food, Drug, and Cosmetic (FD&C) Act of marketing the test without first obtaining clearance or approval from the agency. Along with the latest approval (FDA authorization # DEN170046), the FDA said, it is establishing “special controls” criteria detailing the agency’s expectations in assuring the test’s accuracy, reproducibility, clinical performance and labeling. The FDA said the special controls, along with more common general controls, will provide reasonable assurance of safety and effectiveness for the test. The FDA reviewed data for the test through the de novo premarket review pathway, a regulatory pathway for novel, low-to-moderate-risk devices that are not substantially equivalent to an already legally marketed device. 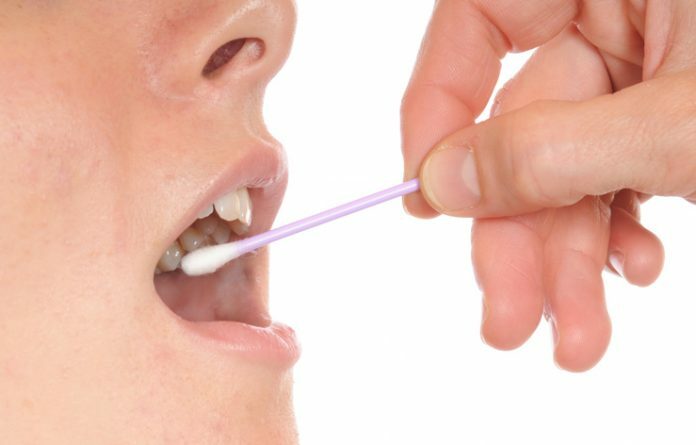 The FDA said its review of the test determined that 23andMe provided sufficient data to show that the test is accurate based on its ability to correctly identify the three genetic variants in saliva samples, and can provide reproducible results. 23andMe demonstrated accuracy of greater than 99% concordance to Sanger sequencing, and precision of greater than 99% reproducibility and repeatability as shown in studies, the company said. 23andMe submitted data on user comprehension studies, using representative GHR test reports, that showed instructions and reports were generally easy to follow and understood by a consumer, the FDA stated. 23andMe said its BRCA1/BRCA2 (Selected Variants) Genetic Health Risk Report uses the same informational concepts previously shown in studies submitted to the FDA for its Genetic Health Risk reports which were shown to have 90% or greater overall user comprehension in a demographically diverse population study. New and existing 23andMe Health + Ancestry Service customers that were genotyped on the company's most recent platforms will have access to this report in the coming weeks, the company said. There will be no additional cost for the BRCA report for new or existing customers, a 23andMe spokesperson told Clinical OMICs. The company's Health + Ancestry Service costs $199/kit. “This is a major milestone for 23andMe, but more importantly, a significant step forward for consumers who want direct and affordable access to their health information,” Wojcicki posted on 23andMe’s blog. “Over the last four years, it has kept me up at night knowing that we have customers with one of these risk variants but have been unable to tell them.